London hotel Reservation Centre (LHRC) offers the best available hotel rates for both, the tourist & the business traveller. 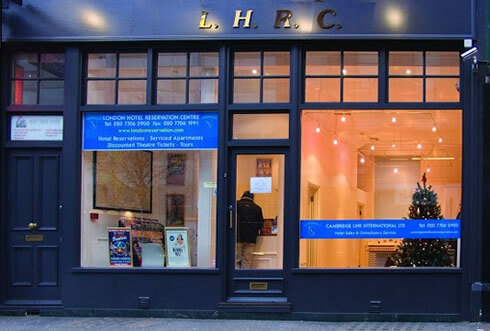 From our Central London Offices, (LHRC) offers a variety of services, including Discounted Reservations from B&B to 3, 4 & 5 Star Hotels, Serviced Apartments, Discounted and Half Price Theatre Tickets, Sightseeing Tours, Transfers, Special Offers, London Properties For Sale and more. Our Offices are centrally located offering a secure one-stop service for all your booking requirements, and we look forward to hearing from you.